Enjoy a fall favorite, Harvest Pumpkin Soup throughout the fall and winter. 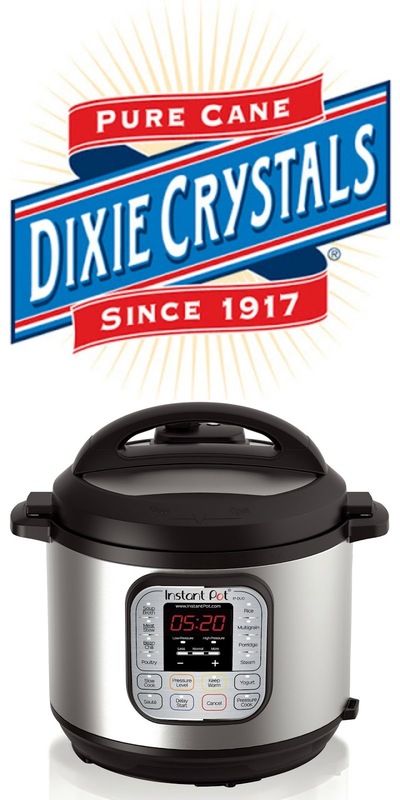 True comfort food that warms you right up! Make Homemade Pumpkin Soup using canned pumpkin puree makes this a healthy soup ready in 30 minutes. Pumpkin Soup is great for your Thanksgiving menu too! I have already started delving into fall recipes! Last week I shared Instant Pot Beer Braised Beef Short Ribs, holy goodness! So yes, I am embracing Pumpkin week with one of my favorite fall soup recipes! 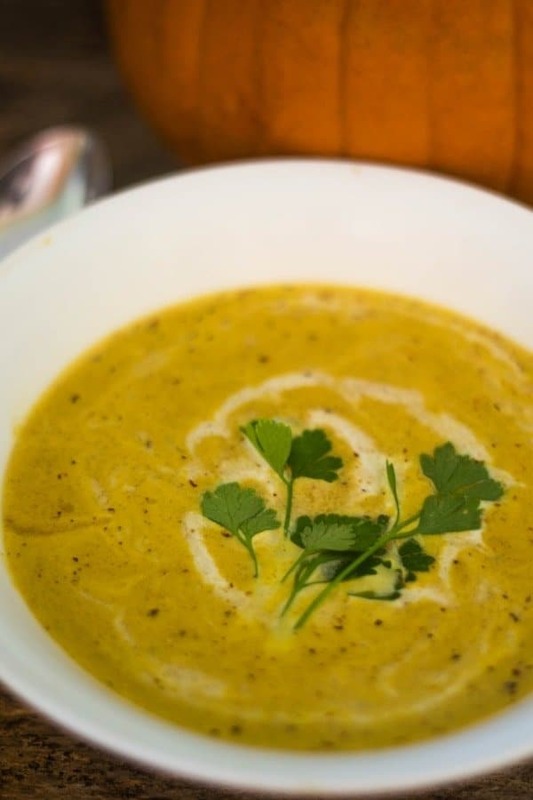 This Pumpkin Soup recipe is one that I can vary the ingredients! This soup can be adjusted for a Vegan diet. Today I am sharing my all time favorite, Harvest Pumpkin Soup! This healthy fall soup is a crowd-pleaser. A great make-ahead soup too! The pumpkin soup can be frozen until ready to eat. At that time, add in the cream and heat. Great for Thanksgiving meal prep. Homemade Pumpkin Soup is a great way to enjoy fall flavors with a meal that is ready in 30 minutes. I love this Pumpkin soup because it’s a no-brainer easy soup that takes little prep and ready in no time! I do love homemade pumpkin puree, I really do! Here is the thing, I over commit to making dishes during any family event! Then I go into psycho-mode “why did I commit to 8 dishes to bring”. I have a problem with saying no and I feel like everything has to be from scratch. I do make most recipes from scratch. There are times when we need to use a store made ingredient and the end result is usually awesome! It’s ok for us to use a jar of marinara, can of chicken stock, and yes canned pumpkin puree! Does this mean I don’t make any of these from scratch, absolutely not! However, we have to realize, we cannot do it all and we need to compromise. Can this Pumpkin Soup recipe be a freezer friendly meal? Absolutely. Make this soup up until the cream gets added. I freeze in 1-quart bags. When ready to eat, defrost the pumpkin soup. Heat soup add the cream, eat and enjoy! Pumpkin Soup can keep about 3 months in the freezer. Think Thanksgiving! Make ahead! How long can this Pumpkin Soup Recipe be kept in the fridge? This soup keeps in the fridge for 3-4 days. At Thanksgiving, this is one recipe you can either make ahead and freeze or make a few days before and keep well covered in the fridge. What spices can be added to Harvest Pumpkin Soup? I use cinnamon, nutmeg, cumin, and thyme to this soup. Variations may be turmeric, allspice, parsley, basil, and coriander. Experiment and enjoy the results! 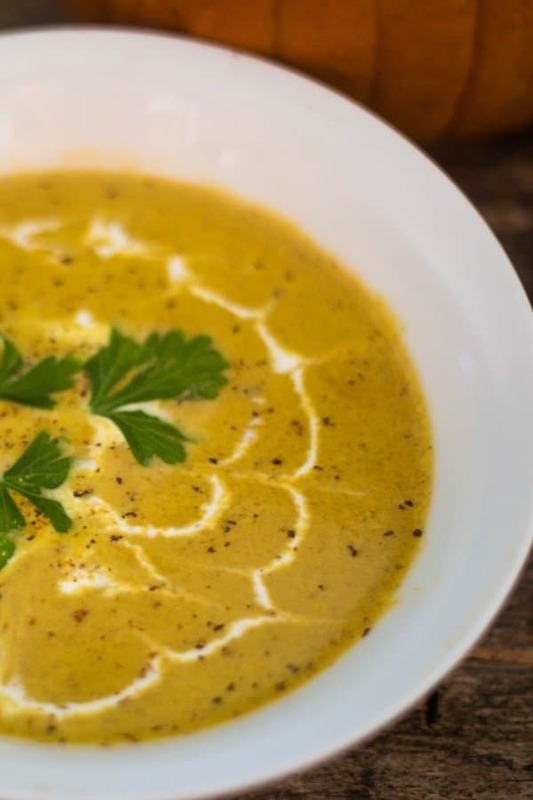 Is Pumpkin Soup good for weight loss? In general, pumpkin soup is low in calories. Adjusting the cream to fat-free half and half can reduce calories further. Can you eat pumpkin on a Keto diet? Yes, you certainly can! 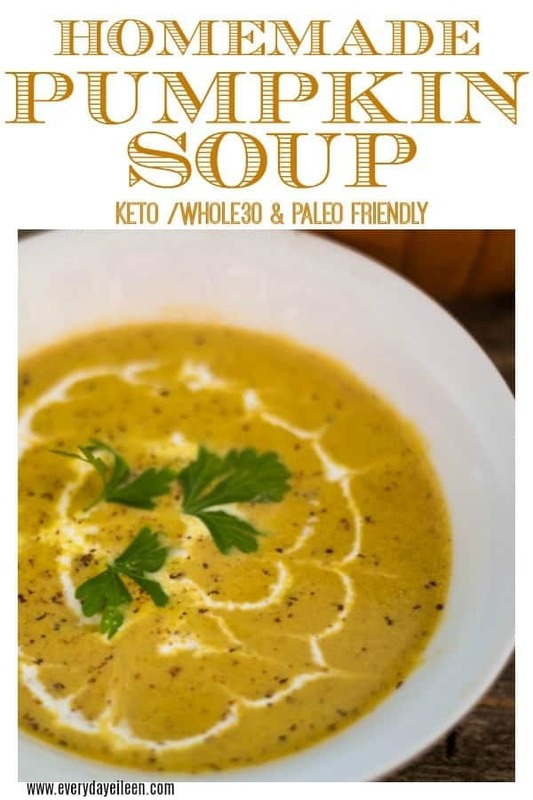 This is a Keto friendly recipe. Pumpkin also has a good amount of dietary fiber, which is awesome for the body! As Pumpkin Week begins, I have to thank Love and Confections and A Kitchen Hoor’s Adventure. 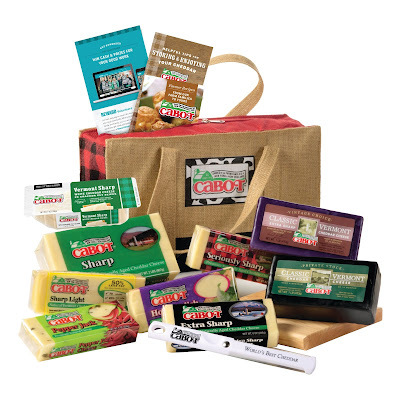 What a great week of recipes an giveaways! Today’s amazing recipes are below, enjoy! Chop the onions, carrots, celery, and garlic. Over medium heat, add to the Dutch Oven or Soup Pot unsalted butter. Saute the veggies for about 5 minutes. Add in the vegetable stock, herbs, spices and pumpkin puree. Bring to a boil and reduce heat to a simmer, about 15 minutes. 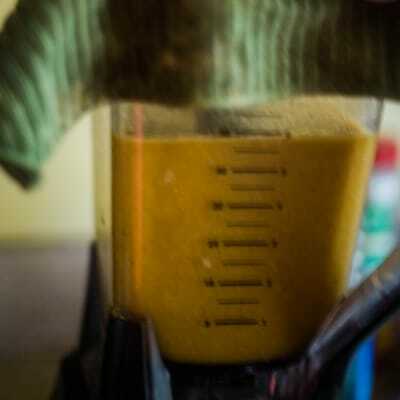 Either puree with an emulsion blender or use a blender to make a smooth base to the pumpkin soup recipe. Add in the heavy cream. Stir and get ready to serve. 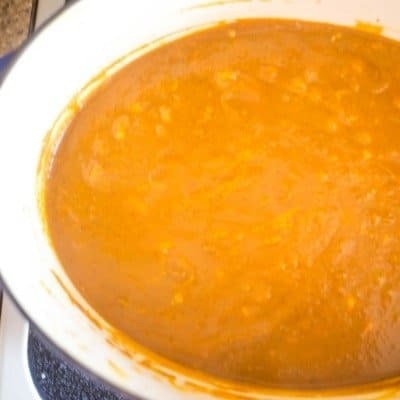 Are you loving this Amazing Homemade Pumpkin Soup, giving it a 5-star rating and any comments are super helpful for me and very much appreciated! A delicious fall/winter soup that will warm you on a cool winter day. 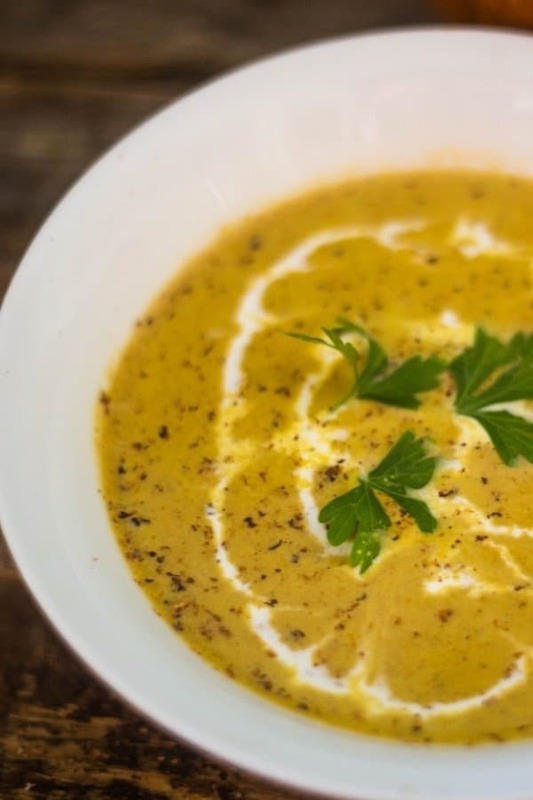 Ready in about 30 minutes, this is a great pumpkin soup that is full of nutrients and flavor. Over medium heat, in a large Dutch oven, add butter, melt. Once butter sizzles, add onions, carrots, celery. Saute for about 3-4 minutes. Add in the garlic and grated ginger. Saute another minute. Stir in the vegetable broth and pumpkin puree. Add in the bay leaf, black pepper, Kosher salt, cinnamon, ground thyme, nutmeg, allspice. Increase heat slightly to medium/ high. Bring the soup to a boil. Then reduce heat to low and simmer for about 15- 20 minutes. Note 1: Use either homemade vegetable broth or store made. If store made, I prefer using sodium free to control the amount of salt added. Note 2: Pumpkin puree, use canned pumpkin puree or feel free to use your own homemade pumpkin puree. Note 3: Depending on your tastes and preference for calorie count, dietary needs, you can vary the input of "cream". You can use fat-free half and half, dairy-free half and half, light cream, or coconut milk for vegetarians, whole 30. Adjust to your families needs. All these choices have worked for me. Note 4: Adjusting seasoning is based on your personal flavors and what seasoning you are using. I tend to under season and add in at the end. I always use a conservative amount of salt due to my health issues. Always taste your soup and adjust if needed. I’m looking forward to making this for my son. He loves anything made from pumpkin. Wish me luck and thanks for sharing your recipe! I hope your son enjoys the pumpkin soup! Let me know how your son enjoyed the soup! Pumpkin goes so well in the soup and gives that extra flavours. Filling and hearty soup to welcome autumn! Thank you Jagruti! I am so happy you enjoy the pumpkin soup! What a perfect fall soup!! I’ve actually not had pumpkin soup before but this looks amazing! And I love the ingredients!! So healthy and so many people can eat it!! Paleo, keto, whole30!!! Love it!! 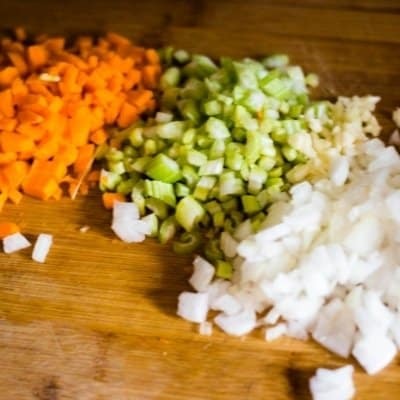 I hope you make this soup soon Amanda! I’ve never tried making a pumpkin soup, but I bet it’s heavenly! Can’t wait to give this one a try! Thank you so much Claire! I hope you enjoy the soup as much as my family! Your pumpkin soup sounds and looks amazing. I’ve made butternut squash soup but I’ve yet to use pumpkin. I can’t believe how easy it is to make. What with the cooler weather here it sounds like just the dish to make this week. Thank you for the inspiration. I am so glad you enjoy the recipe Marisa! I hope you make it and enjoy! I love simple soups like this! It looks so flavorful, and it’s great that it’s a relatively quick recipe that can be done on a busy weeknight. Your garnishes are gorgeous, too! Thank you Ashley! I am happy you have enjoyed the pumpkin soup! Pumpkin, pumpkin everywhere. And i so love it. My favorite pumpkin recipe any day, any time your be pumpkin curry and pumpkin soup. Soup looks so hearty and so delicious! I am so happy that the Fall is finally here! and we can make all our favorite meals) Love pumpkin soup and love your simple recipe idea! Thank you so much Veronika! I agree, I love simple soup recipes too! It’s amazing how we eat so much of pumpkin in our house in fall. The options are so many from soups to desserts. I love making new recipes. I do make pumpkin soup and would love to try this one soon. Yum. I am right there with you Veena! We love pumpkin recipes! I am happy you enjoy the soup! 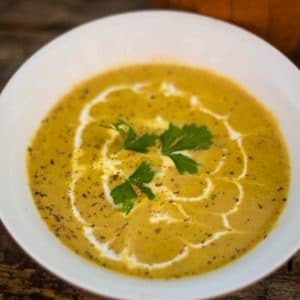 One of the things I love about Autumn is all the fall foods and this pumpkin soup looks so incredible! It looks so easy and delicious and I need to make it ASAP! Thank you so much Elaine! I am so glad you enjoy the pumpkin soup! The perfect soup for fall. It’s raining here today, and this would make a fabulous dinner! I hope you make the soup and enjoy Allison! I hope your rain ends soon! I love a hearty warm pumpkin soup like this on cold, drizzly nights. I think you’ve spiced this soup really well, but I also appreciate your other ideas for how to spice this depending on what fresh herbs you have on hand. I’ve never had pumpkin soup before, but this looks so creamy and delicious! A must try! YUM! Thank you Kelly! So glad you enjoy the pumpkin soup, enjoy! A perfect bowl of Autumnal comfort. Thank you Wendy! I hope you enjoy the soup! Honestly I’m so excited about pumpkin season. I still didn’t make anything with pumpkins yet, but I’m so planning to. This soup sounds like perfect for opening pumpkin season. I love the spices and flavors in this recipe. I bet all my family will love it too. Thank you so much Natalie! I know, Pumpkin Season is the best! I am so glad you enjoy the recipe!